In this Cytosport Monster Mass weight gainer review, you will learn that if you want more mass, Cytosport’s Monster Mass is one product that you should consider. 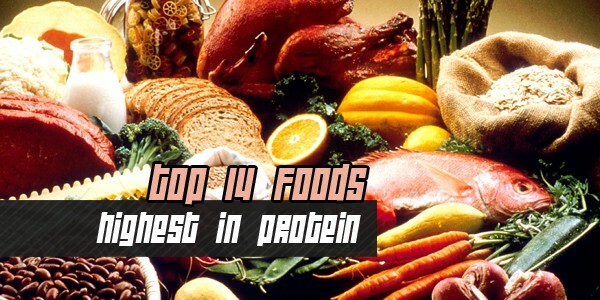 It gives its users a combination of fast and slow proteins. Advanced sustained-release proteins and fast-releasing whey and peptides complement each other so its effects will last for hours. It has certain enzymes that make sure that the body absorbs all the power and benefits that this drink has to give. Many body builders love the effects that this product has on them. Monster Mass is easily digestible, which makes it popular among weight gainers. It is not difficult to drink unlike other similar products because it tastes just like a very rich milkshake. It is very nutritious and made specifically for body builders who want to increase their mass and build their muscles. 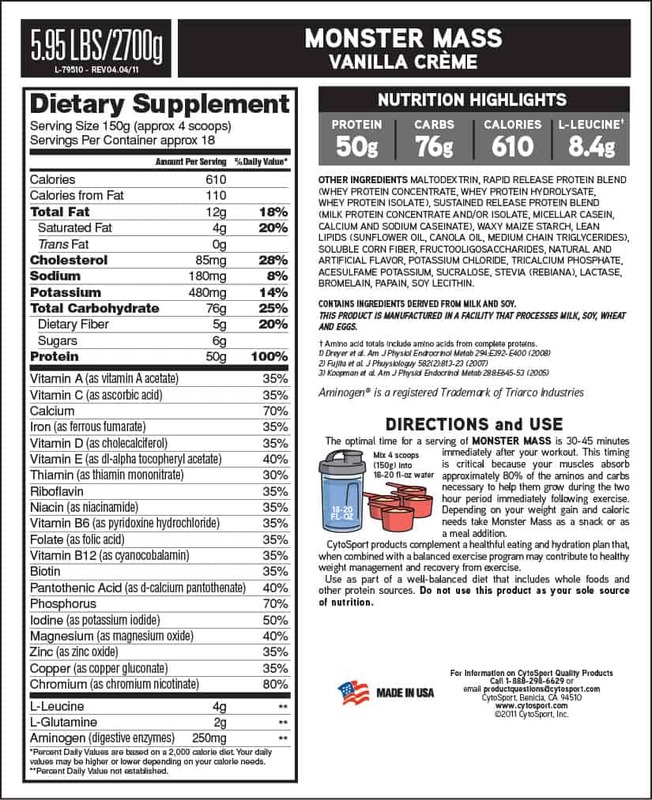 This product also improves one’s nitrogen balance, which allows for better anabolic potential. The higher levels of amino acids stimulate the synthesis of proteins and hypertrophy which pertains to the growth of muscles. This product may not be good for people who are lactose intolerant or are allergic to soy beans or milk since it is manufactured in a plant that processes them and it may have ingredients derived directly from both milk and soy. This Cytosport Monster Mass weight gainer review says it all. Just mix four scoops to around 18 to 20 ounces of water and you’ll be on your way to having bigger muscles in no time at all. With 50 grams of protein, BCAAs, lean lipids, glutamine peptide and L-Glutamine, what more can you ask for? Many body builders use this product until they get their desired mass because they are always happy with the results that they get.